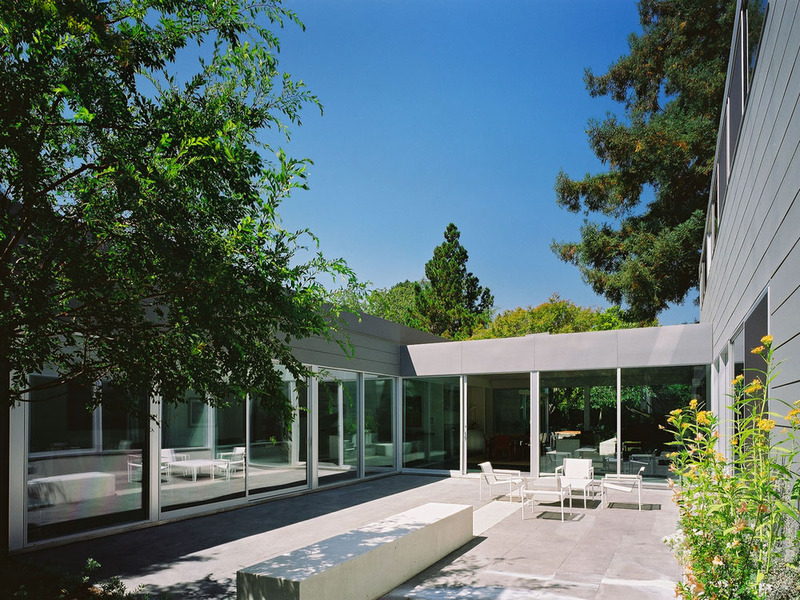 DLS House | Designed in 1949 by German-born modernist John Hans Ostwald and remodeled by architect Stanley Saitowitz, Hulburd Design “collaborated on the home’s interior, selecting finishes and furnishings. 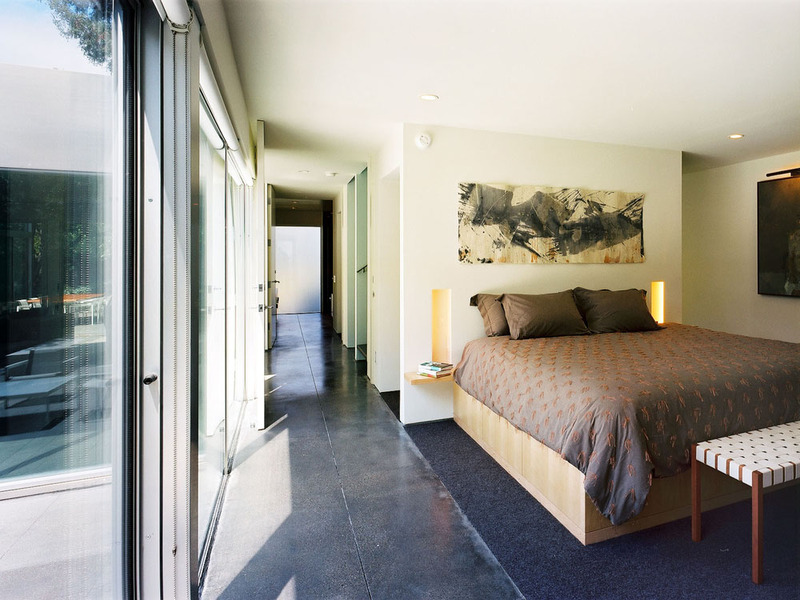 Hulburd wanted to balance the transparent spaces and palette of gray metal and black concrete with what she calls ‘saturated color.’ A 1940s handmade Swedish rug Hulburd found jump-started her color choices for the entire house. ‘It had such a beautiful graphic pattern,’ she recalls. 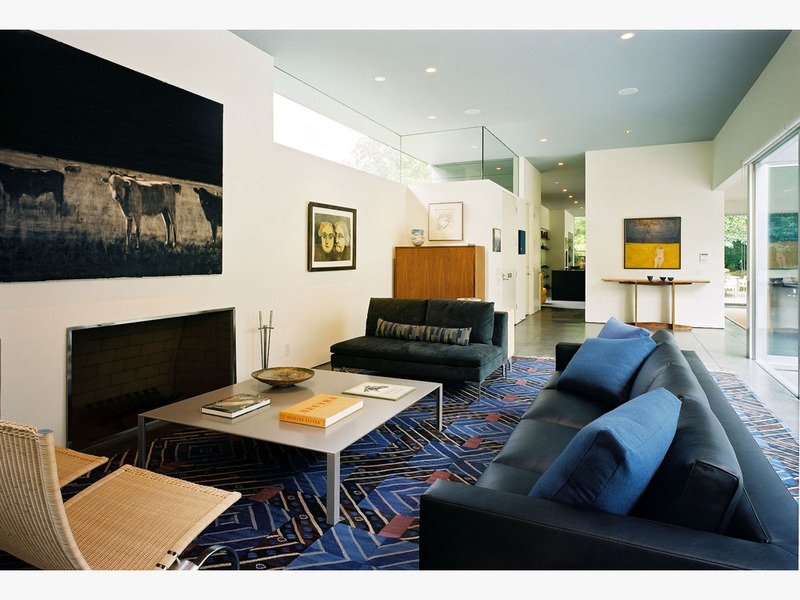 ‘Blue is not a color I use very often, but it was perfect with the black concrete floors.’ Hulburd continued the soothing palette of what she calls ‘water tones’ throughout the house, as seen in the cool shades of blues and greens in the wool rugs she designed for the dining room and an adjoining music room. 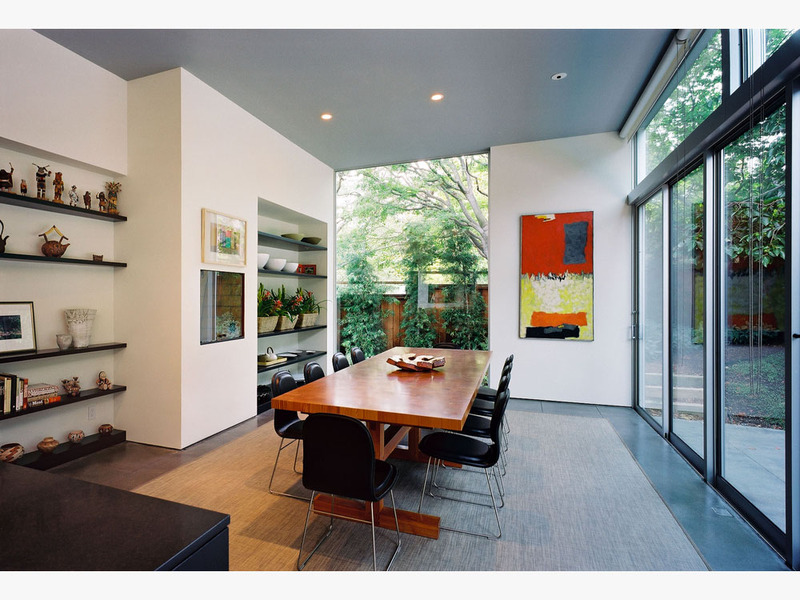 "The most substantial pieces of furniture are the dining tables. Hulburd designed a hefty table for the outdoor dining area, with a stainless-steel base and an enameled-lava-stone top, as well as a massive kitchen table made from chunks of end-cut pine.